This meal is a family favorite and one of Chris’s top favorite meals. It’s full of tomatoes, garlic, seasoning and flavor. I have to admit, I no longer follow the recipe and even when I did, I did so loosely. Most of the time, I’m cooking by smell, which has to be flavorful, and I heart garlic – big time! It’s not uncommon for me to double, possibly triple, the quantity of garlic and then add an extra clove or two for good measure. Also, through the years, I’ve definitely upped the amount of tomatoes, using as many as 18 Roma tomatoes and subsequently adjusting the remaining ingredients. More of one ingredient equals more of another. . . you get the idea. By all means, adjust to your taste and preferences. 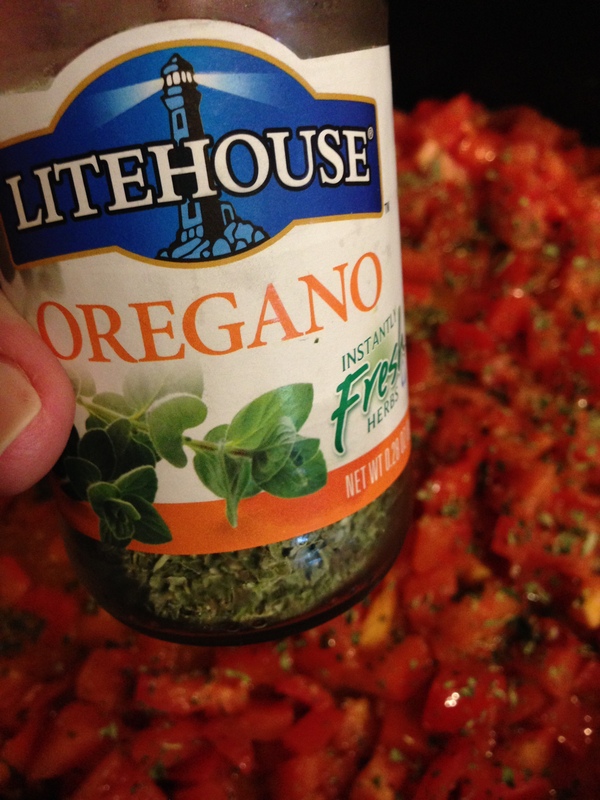 If I don’t have fresh basil, I’ve used the Litehouse Basil before and it works just as well. In this case, I had fresh basil and used it, but again, I wanted more of a flavorful taste and added a liberal amount of this Oregano. Incorporate chicken and heat thoroughly. Bring a large pot of salted water to boil and make pasta according to package directions and then drain. 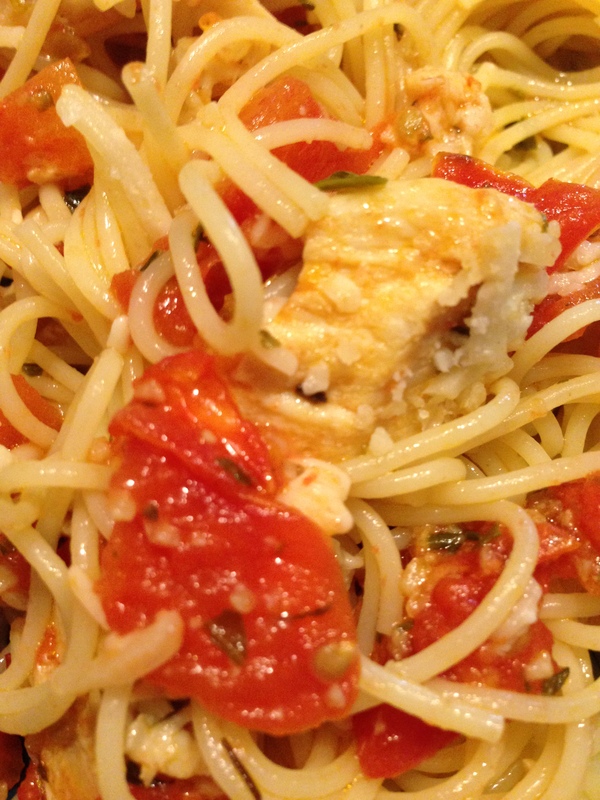 Add desired amount of pasta to a plate and top with tomato/ chicken mixture and top with parmesan cheese. This entry was posted in Chicken, Italian, Pasta. Bookmark the permalink.